UPDATED NOVEMBER 4, 2009, JANUARY 9, 2011, and JANUARY 13, 2011. In Ontario today, as in so many other places no doubt, the rule of law often seems to move at what can only strike we ordinary citizens and taxpayers as an astoundingly glacial pace. Mr. Powney subsequently spent more than three months in jail before being granted bail in May last year. (More exactly: “Murder suspect Allan Wayne Powney literally sprinted to freedom Monday [May 5, 2008] – to a waiting car from a side door at the courthouse – after a Superior Court justice released him on strict terms into the care of six family members who posted $300,000 bail.”) Then a hearing into the fate of Dr. Janssen’s alleged murderer, Wayne Powney, was held on Thursday, September 11, 2008 at the Ontario Court of Justice in Owen Sound. At that point there was talk of setting a date for a preliminary hearing, to determine if enough evidence exists to go to trial. Now, at last, we know that this inquiry will start on Monday, June 8, 2009. And it is scheduled for 14 days, concluding July 9. NOVEMBER 4, 2009 UPDATE: For better or worse, the plot here has thickened again. On November 4, 2009, the results of the June-July inquiry have surfaced at last. It seems it has been determined that there is enough evidence to go to trial. And the Owen Sound Sun Times has reported that: “The first-degree murder trial of Allan Wayne Powney, who is charged in the death of a Bruce Peninsula doctor, will likely begin next April or fall … Powney, the neighbour and friend of Dr. Henry Janssen, was not in court yesterday while his case was adjourned to the Dec. 4 Superior Court of Justice assignment court … The date of the start of the trial will depend in part on Powney’s lawyer’s schedule, Justice Robert Thompson said.” The wheels of justice, in this case in particular, continue to grind ever so slowly. Meanwhile, as a service to those members of the ordinary public still trying to follow this both tragic and still rather puzzling real-life murder mystery, we have reproduced below our original article on the subject from January 31, 2008, prepared by our diligent research colleague, L. Frank Bunting (and including updates to September 15, 2008). A hearing begins Monday to determine whether enough evidence exists to send Allan Wayne Powney to trial on a charge of murder in the death of a Bruce Peninsula doctor. Powney is charged with first-degree murder in the death last year of his friend and Jackson’s Cove neighbour, Dr. Henry Janssen. The Bruce Peninsula physician was found shot in his truck on Scenic Caves Road in Northern Bruce Peninsula on Jan. 22, 2008. Police descended on Jackson’s Cove, a remote, idyllic spot on Georgian Bay, readily accessible in winter only by ATV and snowmobile. Janssen’s body was found on a Tuesday night and Powney appeared at a bail hearing two days later, charged in his death. He was 63 years old when charged. Powney, who uses the name Buddy, spent more than three months in jail in 2008 before being granted bail in May last year. Today’s preliminary hearing in the Ontario Court of Justice is scheduled for 14 days, concluding July 9. The defence will likely seek a ban on publication of details heard during the hearing. That ban would be effective until the end of any subsequent trial or until the accused is discharged by the court. Powney also faces six counts of possessing unregistered firearms and two counts of improper storage of a non-restricted firearm and ammunition. More than 200 people attended a public memorial service for Janssen. People told stories about the doctor, describing him as a physically imposing, quick-thinking and plain-spoken man who enjoyed life and lived it on his terms. Area doctors helped cover for Janssen’s absence. He was semiretired and carried a roster of 550 patients. He’d worked on the Bruce Peninsula for five years. Former Orangeville resident Wayne Powney, 64, is to appear at Owen Sound next Monday, June 8, for a preliminary hearing of a murder charge stemming from the slaying of a neighbour, Dr. Henry Janssen, 57, in January 2008. Mr. Powney, husband of retired Mono Amaranth Public School teacher Elaine Powney, was granted bail by a Superior Court judge shortly after he was arrested and charged with first-degree murder. The Powneys had moved from Orangeville to their present waterfront home near Lions Head when Mrs. Powney retired in 1999. Dr. Janssen and his wife Lynn moved to the same street as the Powneys in about 2003. He continued his medical practice at a clinic in Tobermory and had been on duty at the Lions Head hospital on the night of his death. Reports at the time said Dr. Janssen had not returned home as scheduled on the fateful night. When the hospital called his home asking that he return, Lynn went in search and found him slumped over the steering wheel of his pickup truck on the remote Scenic Caves Road. Mr. Powney was a former employee of Nortel and a local sports enthusiast. L. Frank Bunting’s original report, January 31, 2008: MURDER ON THE BRUCE PENINSULA .. something going on we don’t know about? UPDATED SEPTEMBER 15. The Bruce Peninsula is Southern Ontario’s variation on the magical Upper Peninsula in the adjacent State of Michigan (made forever famous by Ernest Hemingway‘s immortal fishing story, “Big Two-Hearted River“). 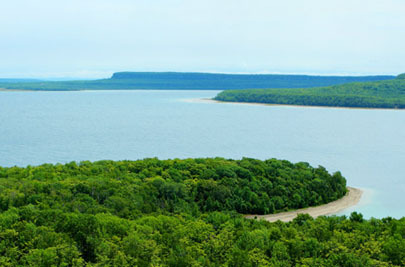 It is also where the Niagara Escarpment, which starts down at the legendary Falls between Lake Erie and Lake Ontario, drifts off into the more exotic northerly waters of Lake Huron and Georgian Bay. Part of the poignancy of this murder mystery turns around the character and background of the victim. The late Dr. Henry Janssen was born and raised in a family of nine children, in the small southwestern Ontario city of Woodstock in the 1950s. Woodstock, Ontario is a two-to-three hour drive south of the Bruce Peninsula. And perhaps especially in the 1950s it could stake some claims as an idyllic small city of the North American Midwest in its own right – a centre of hard work, relieved by sports and mom and apple pie. In this milieu Henry Janssen had developed disciplined habits, and grown to a height of 6 feet 7 inches, by the time he attended the University of Western Ontario, not far west of Woodstock. At UWO the tall, young Henry played tight end for the school’s Mustangs football club in the early 1970s. He was so good that in his graduating year he qualified as the third overall draft pick of the Calgary Stampeders in the Canadian Football League. He was also a top student, however, and decided to become a doctor of medicine instead. After medical school Henry Janssen spent some years as a family doctor in North Dakota. But he eventually became homesick. 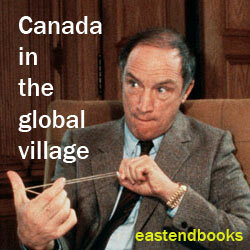 At first he re-established his practice in Ingersoll, just a ways down the road from Woodstock. Then he returned to Woodstock itself, where he remained for 15 years, with his wife Lynn, and his son David, and daughter Rebecca (and quite a contingent of Janssen relatives, scattered throughout the wider region). Both Dr. Henry Janssen and his wife Lynn liked outdoor life. It was on a camping trip in the Bruce Peninsula several years ago that they were struck by the unique attractions of spending their golden years in the place, now that their children were young adults. 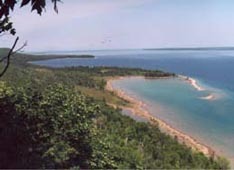 They purchased a large lot on “Georgian Drive, which curves around Jackson’s Cove, a small, idyllic inlet off Lake Huron’s Georgian Bay” (on that part of the larger Georgian Bay known as Hope Bay). And they arranged to have a dream house erected on the lot. When he moved to the Bruce Peninsula some five years ago, a nephew has told the press, “Dr. Janssen’s intent was to slow down.” He became a member of the Bruce Trail Club, and tried to spend more time enjoying the great outdoors, in all seasons. What was going on between the Janssens and the Powneys? One reason many Northern Bruce Peninsula residents have trouble understanding Wayne Powney’s alleged murder of Dr. Henry Janssen is that the Janssens and the Powneys were both close neighbours on the Jackson’s Cove street called Georgian Drive, and apparently even friends. On Wednesday, January 30 as well Ontario Provincial Police Constable Dave Meyer told the local press that police had “finished investigating the Jackson’s Cove neighbourhood where the Powney and Janssen families live … Now officers are interviewing acquaintances of the victim and Powney. They “still want to speak with anyone who drove along Scenic Caves Road between noon and 9 PM” on Tuesday, January 22. Constable Meyer went on: “It’s all in preparation for court now. You know, checking backgrounds . . . the whys of everything.” This seems just what so many people in the Bruce Peninsula are at the moment so puzzled by too. SEPTEMBER 15 UPDATE: Yet another hearing into the fate of Dr. Janssen’s alleged murderer, Wayne Powney, was held on Thursday, September 11, 2008 at the Ontario Court of Justice in Owen Sound. Powney himself, who is still free on bail subject to certain conditions (see below), did not appear in court. Owen Sound lawyer Ian Boddy appeared on his behalf. Progress in the case has for some time been waiting on test results from the Centre of Forensic Sciences in Toronto. As reported by Scott Dunn in the Owen Sound Sun Times: “Assistant Crown attorney Michael Martin said test results from the Centre of Forensic Sciences won’t be ready by the end of November. But he said a date for a preliminary inquiry, to determine if enough evidence exists to go to trial, should still be set. It’s estimated the hearing will last three weeks. “Powney was first driven by family to Owen Sound Jail, where one member held up a coat to try to block a Sun Times photographer’s view of him. Powney, wearing a short white beard and moustache like hockey commentator Don Cherry’s, remarked Can I hit him?’ referring to the photographer. “Details of evidence heard during the 2 1/2-day bail hearing and reasons given by Justice B.J. Wein for releasing Powney cannot be reported until the conclusion of a preliminary inquiry or after a trial, if there is one. “Powney was ordered to live under house arrest with his cousins, Tom and Joan Kennedy in Heathcote, near Thornbury. He is not to be left alone, may not use a phone or access the Internet or any messaging devices and be anywhere outside the home without one of those posting his bail present. He may visit his other sureties if approved in advance. “Two other couples are also responsible to ensure he follows the rules and have agreed to let him stay with them: Powney’s sister, Carole Hill and her husband Kenneth Rolland Hill of London, and Powney’s daughter, Jacqueline June Irwin and her husband John, of Orangeville. The latter’s guns must be removed from their home before Powney may visit. Jessica Leeder, “Neighbour charged in killing of rural Ontario doctor,” The Globe and Mail, January 25, 2008. “Police say Bruce Peninsula doctor was murdered … Post-mortem confirms gunshot wound as cause of death,” The Sault Star, January 25, 2008. Patrick Maloney, “Friend charged in doc’s slaying … The accused, Wayne Powney, had openly wept with Henry Janssen’s grieving relatives,” London Free Press, January 26, 2008. Jim Algie, “Community in shock… ‘Everybody liked him’,” Owen Sound Sun Times, January 26, 2008. Tracey Richardson, “Family reaches out,” Owen Sound Sun Times, January 26, 2008. Scott Dunn, “Neighbour charged in doctor’s murder … Allan Wayne Powney has been charged with first-degree murder,” Owen Sound Sun Times, January 26, 2008. Scott Dunn, “Suspect in doctor’s murder to appear for bail hearing … Lawyer expects case to be remanded for 10 days,” Owen Sound Sun Times, January 30, 2008. Scott Dunn, “Suspect sounded ‘shooken up’ … Friend recounts conversation with Wayne Powney day after murder,” Owen Sound Sun Times, January 31, 2008. Other photographs depict Bruce Peninsula shoreline scenes, the Lion’s Head hospital with flag at half mast to commemorate Dr. Henry Janssen’s sad death, and the Janssen home at Jackson’s Cove. Allan Wayne Powney article “Murder on the Bruce Peninsula revisited .. again .. and again .. and again” UPDATED NOVEMBER 4, 2009, JANUARY 9, 2011, and JANUARY 13, 2011. I worked with Allan Wayne Powney at Nortel in Brampton and I want to straighten out one mistake in your article about him and his crime of murder. Wayne is no retired Nortel corporate executive (If he was, Nortel would have gone bankrupt a lot sooner). Did anybody verify this with Nortel? The Wayne Powney I knew at Nortel was a BSE (Buildings Study Engineer) also know as Field Engineer in Digital Engineering. He was a technician, defiantly not a corporate executive. Wayne was a scoundrel and definitely not a good Nortel employee or a good human being. The only reason he retired early was because Nortel gave him the choice of retiring or he would be terminate without his pension. Wayne had faked a back injury in his cubical at Nortel and was on sick leave. Nortel had evidence that his back was not injured so they gave him the choice. The only reason he has a clean criminal record is because he’s never been caught. I believe in Karma and Wayne finally got what he deserved.